Suicide is the biggest killer of young people aged 20–34 in the UK. In 2017 alone, 2,111 young people in the UK took their own lives. Suicide is not something we’re good at talking about as a society, but talking about this is one of the most powerful things any of us can do and Samaritans make that happen millions of times a year. That’s why we’re so passionate about these two new projects we are helping make a reality. Across much of last year and into 2019, we’ve been really fortunate to be a part of a fantastic project with Samaritans, supported by Comic Relief and CAST, to help develop data solutions to power their work to deliver more life changing support. 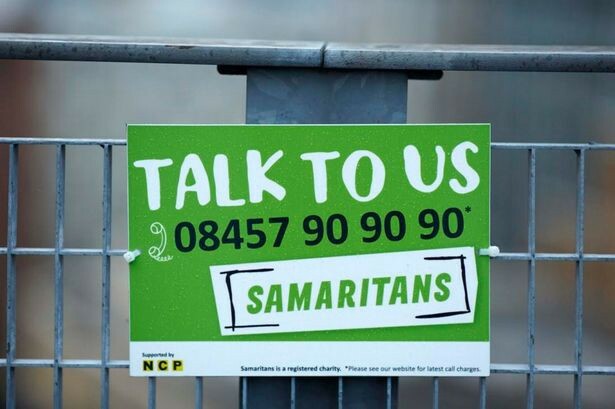 Samaritans respond to a call for help every six seconds and are available 24 hours, 365 days a year. Just this month, the wonderful team at Nominet have announced they are becoming the Strategic Digital Transformation Partner of Samaritans and because of that new support, it means we’re going to be able to scale up our work with Samaritans and help deliver two really exciting, life changing, new projects. Demand for Samaritans services is rising and Samaritans forecasts that by 2021 they will need 6,000 more volunteers to deliver their work. This is where our data solutions come in. Building on the work started through the Comic Relief Tech For Good programme, we’re going to help Samaritans to evolve and roll out this dashboarding system to their 20,000+ volunteers. It’s a chance to do all the ‘in the weeds’ techy and data work we love, connecting up various inputs from different channels to help volunteers make the most of their time and ultimately, reach more people more effectively. In parallel, we’re also going to help Samaritans develop a new self-help tool, the first online self-help product for people in the UK that specifically addresses suicidal thoughts which will be completely for users, all built on the trust of one of the UK’s best known and most loved charities. This tool is being developed because research from Samaritans has found that younger people and people with autism and/or social anxiety are less likely to call the Sarmatians helpline. There needs to be another way for people to reach out and find the information they need at times of crisis and in partnership with clinical experts this tool will curate and provide resources proven to help people cope with suicidal thoughts. These projects are, of course, a huge challenge and it’s going to take a lot of dedicated work to build out smart, responsive solutions designed to meet the exact needs of the workflow at Samaritans but it’s one we can’t wait to start. And we’d love to hear from other groups working in this area too because if we can help share learnings, insights, or technology with other groups supporting people in crisis then that just helps us help more people, which is what we’re here to do. In 2017 alone, more than 2,000 families and communities had to deal with unspeakable tragedy because of the death of a young person by suicide. Across the UK, support services of all kinds are being stretched and put under pressure like never before, and that’s why we’re so proud to be able to support an amazing group of everyday heroes like Samaritans scale up their work. This work wouldn’t be possible without the commitment to date of Comic Relief and CAST and the astonishing support of Nominet. We’re really proud that The Developer Society can play our part too, along with such brilliant groups, in helping Samaritans better use technology to reach people at their time of need.